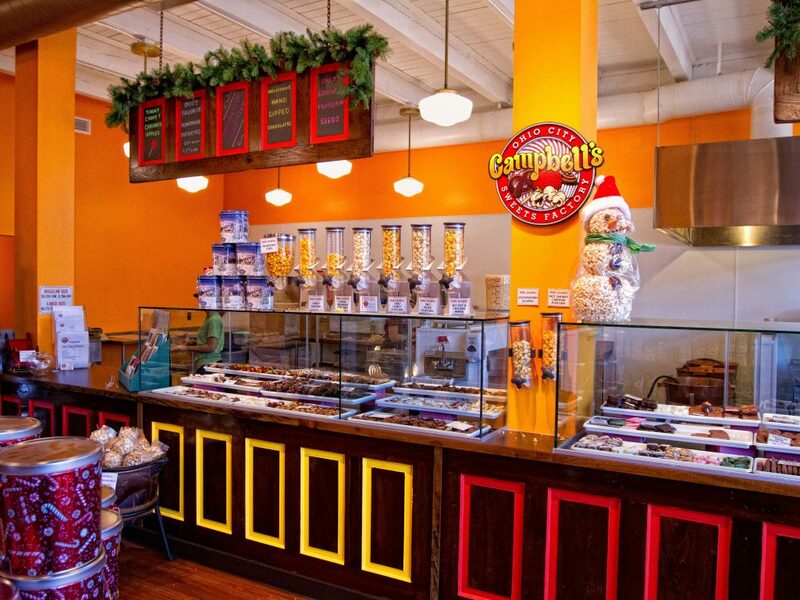 Campbell’s Sweets original flagship store-front location (right by the corner of W 25th & Gehring St.) was opened in August of 2011. 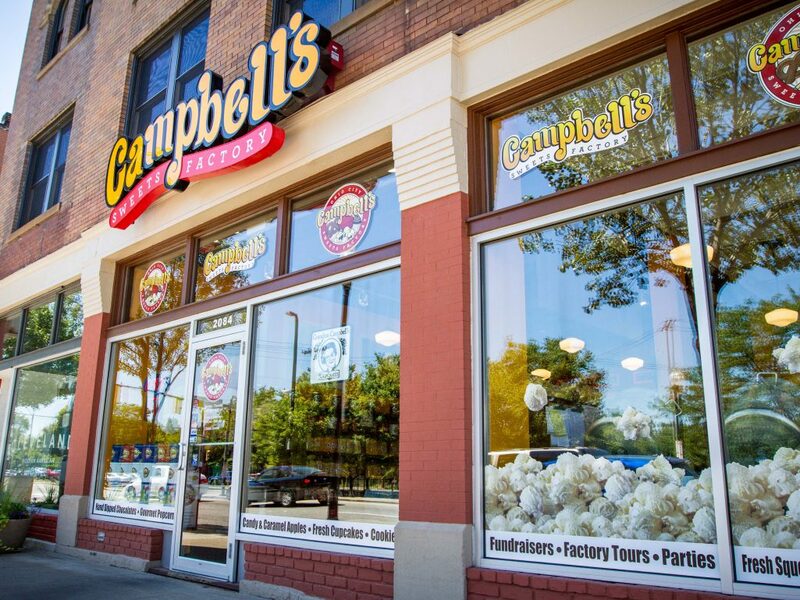 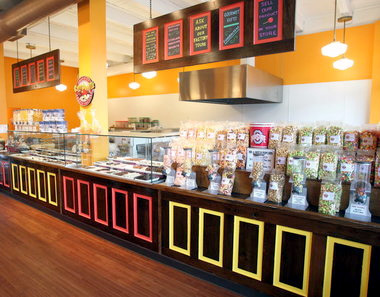 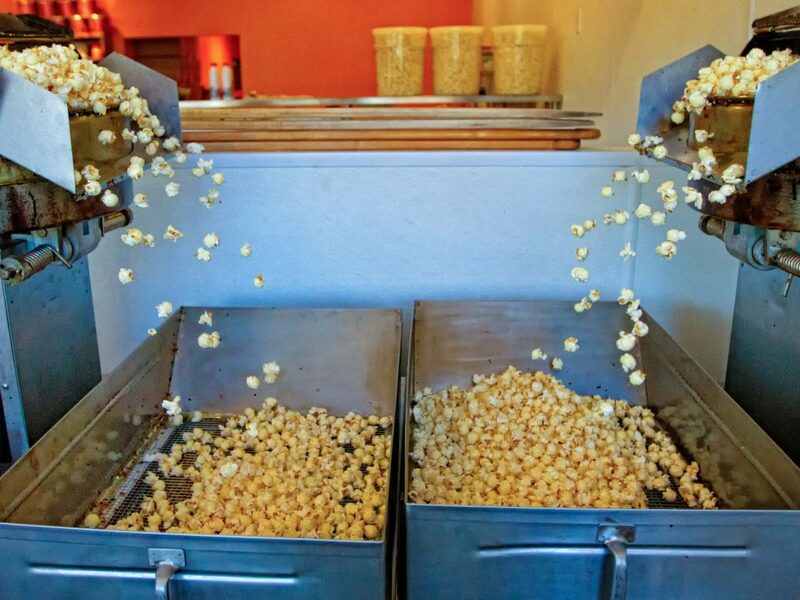 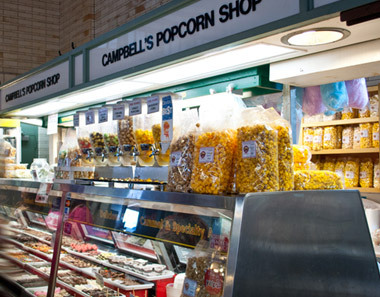 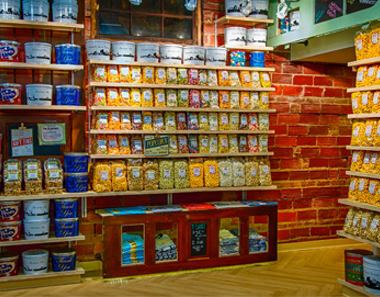 This initial expansion of Campbell’s Popcorn Shop (located in the Westside Market), was mainly launched as a means of expanding popcorn-production for increasing wholesale, fundraising & web-business, and the actual retail-store was almost an “after-thought” to the original intentions with the space. 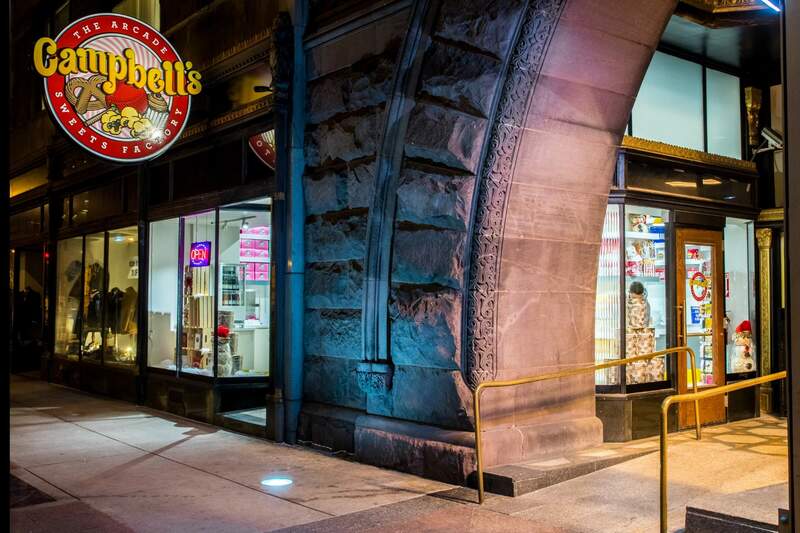 However, the store quickly became a huge hit in Ohio City’s growing hub of restaurants and retail-shops, and it didn’t take long before the expansion to go from feeling like a wide-open production space to a tightly-packed area again! 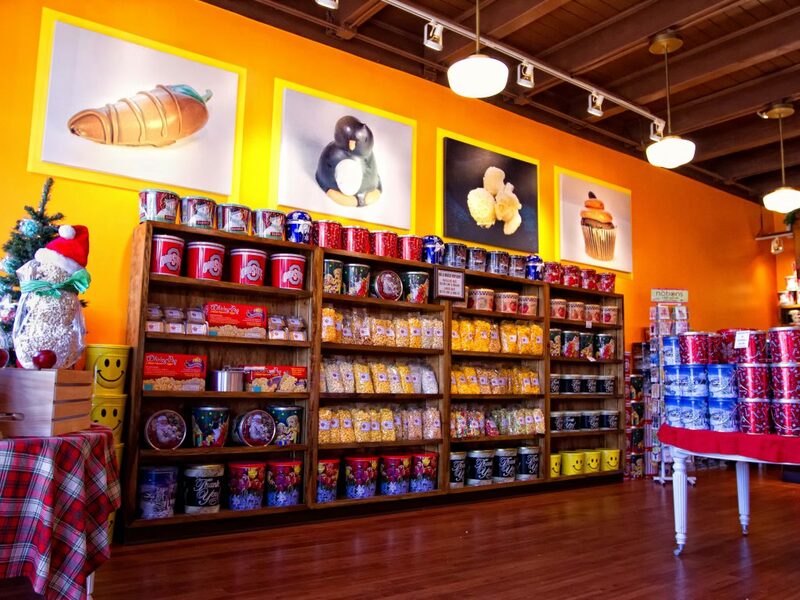 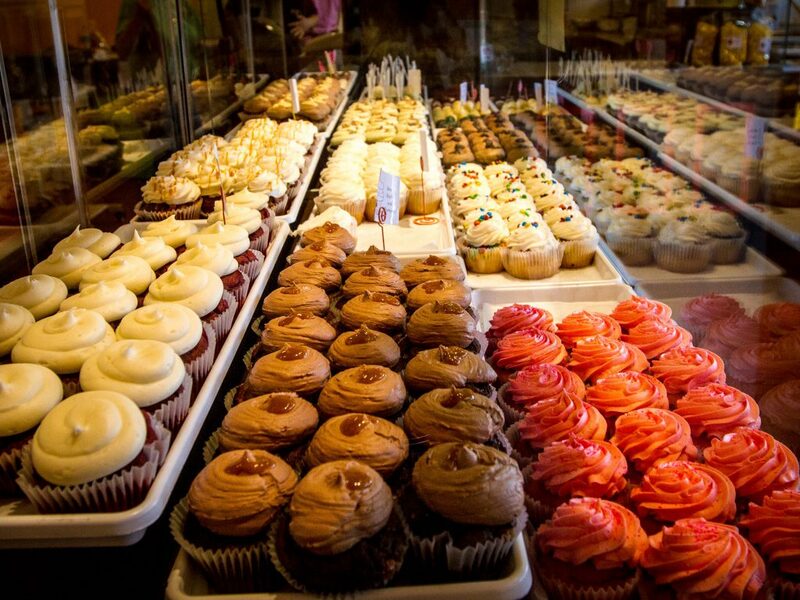 The store is still a favorite among locals & out-of-towners alike!